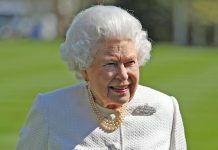 The 82-year-old princess looks set to wind down her commitments in a move that could signal the beginning of the end for the old order. For someone whose biographer described her as “the most efficient working princess in the world”, last year was something of a disaster for Princess Alexandra, who was unable to bring her usual dedication to royal duties because of a broken arm. 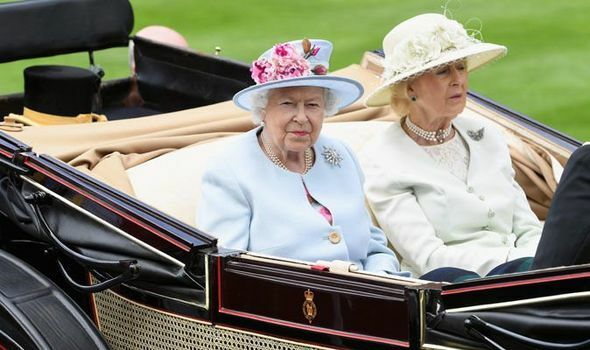 But shortly before Christmas Day – her 82nd birthday – this elegant cousin of the Queen returned once again to her long rota of engagements, applying her charm and dedication to the sort of activities that she has carried out so conscientiously over the past six decades. 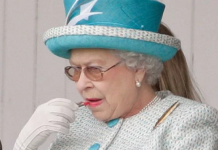 But royal insiders say that the princess, who is patron of more than 100 organisations, ranging from the Light Infantry Club to the British Goat Society, could soon be ready to begin withdrawing from the spotlight. She managed just 67 engagements last year and matters will not be helped by the fact that she has been diagnosed with polymyalgia rheumatica, a debilitating condition which causes inflammation of the muscles. 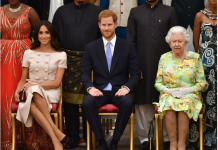 Prince and Princess Michael of Kent and the Duke and Duchess of Gloucester have all cut back on royal duties in recent years as a more glamorous and – let’s face it – vigorous generation has come to the fore led by William and Kate and Harry and Meghan. While the younger royals now get most of the attention, Alexandra has never put a foot wrong during a lifetime of public service. Even when those closest to her brought scandal to her door with the rebellious antics of her daughter Marina and the questionable business activities of her late husband, Sir Angus Ogilvy (of which more later), she reacted with Olympian levels of dignity. Yet now few beyond the most assiduous followers of the Royal Family will know much about the princess, whose profile remains relatively low apart from sightings at Ascot or the Service of Remembrance at the Cenotaph. In truth Alexandra is more blueblooded than the monarch. She had two parents who were royals while the Queen had only one (however grand the Queen Mother became, she was the daughter of an earl). “She is one of the most regal in background of them all, related to most of the royal families of Europe,” observes historian Hugo Vickers. “And she is steeped in the tradition of royal service, having never done anything other than these duties. She started early and in her day undertook many foreign royal tours, and represented the Queen at independence ceremonies of places like Nigeria. Her royal style is calm, dignified and unflashy, which is in stark contrast to some of the more lurid events that have surrounded her life. 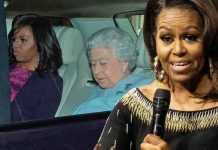 Her father – the Queen’s uncle, Prince George, Duke of Kent – was a man for whom the phrase “not safe in taxis” could have been coined. He canoodled with ladies (and the occasional chap) before and during his marriage to Princess Marina, granddaughter of King George I of Greece. Prince George died in a plane crash in Scotland in 1942, and because no one had anticipated such an early death (he was 39) his princely income dried up almost instantly. Alexandra, together with her brothers Eddie (the Duke of Kent) and Michael (Prince Michael of Kent), grew up in relative poverty at their Buckinghamshire home. Her early years were scarred by the sale of treasured family possessions, but there was just enough money to educate her and she became the first royal princess to be sent away to school, at Heathfield in Sussex, rather than being taught at home. When her cousin Elizabeth became Queen, Alexandra shot up the royal batting order to become sixth in line to the throne. 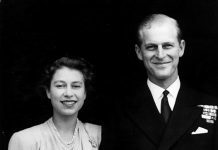 In 1963 she married the affable Angus Ogilvy, the son of the Earl of Airlie, and at the Queen’s invitation the newlyweds spent their honeymoon on the Balmoral estate. It was there that Alexandra felt her first breeze of scandal, when she was caught by a photographer frolicking with Angus in a field. The highly revealing images of the amorous couple became legendary among those editors who saw them, but the more deferential climate of the time towards the royals meant they were never published. Soon after, the princess found herself unwittingly embroiled in another furore, when rumours began circulating over a supposed affair she had enjoyed with Prince Philip. This caused obvious discomfort to poor Angus, although the tittle-tattle has always been dismissed as “hurtful and preposterous” by those close to them. Eventually Angus was to be the cause of another upset in Alexandra’s life, this time financial. At the outset of his marriage Ogilvy had announced that he would continue his career in the City, privately stating that he had no intention of being a kept man. But his directorship of the mining company Lonrho saw him being damned as “negligent” in an official report when corruption was exposed. It was an affair that led the then prime minister, Edward Heath, to damn it as “the unacceptable face of capitalism”. 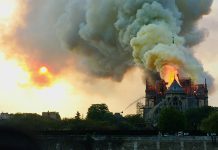 A shamefaced Ogilvy had to resign his business connections, and the sorry matter took a toll on his health and he began to drink and smoke heavily. The pressure eventually led to the next crisis in his family’s life, their betrayal by their “black sheep” daughter, Marina, who at 37 had sold her story to a tabloid, peddling lurid tales of her father’s excessive drinking and her “snarling” mother. But Marina was eventually forgiven, although the stress took its toll and Ogilvy, suffering throat cancer, was brought home to die the day after his wife’s 68th birthday in 2004. 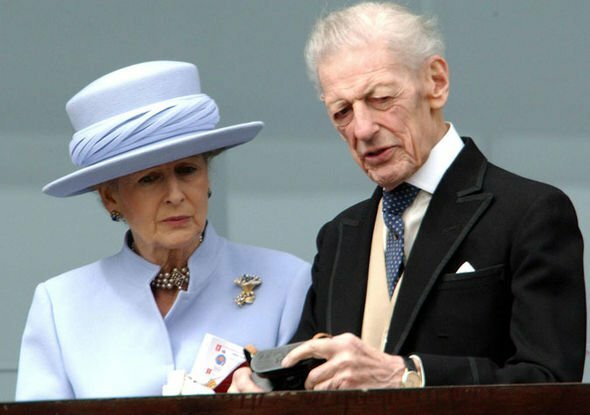 Princess Alexandra has always been the soul of discretion but the same cannot be said for her forthright daughter Marina. Her rebelliousness first manifested itself in her late teens when she posed for a fetish magazine dressed in a crown, rubber jumpsuit and surrounded by corgis and other raunchy photographs like the one below. Worse was to follow in 1989 when Marina became pregnant by photographer Paul Mowatt and sold her story, including the detail that her parents had said she should have an abortion if she wasn’t going to get married. When she did tie the knot with Mowatt in 1990 (above), she was five months pregnant and wore a black dress as she walked down the aisle. Her daughter Zenouska was followed in 1993 by a son Christian but her marriage ended four years later amid claims of violence. Marina said Mowatt had “ruined her life” and a legal battle followed over access to the children. She struggled financially afterwards and it emerged she was on benefits. Marina was finally allowed back into the royal fold and now lives quietly in a cottage in the grounds of Windsor Castle.